This lightweight collapse-and-carry machine efficiently removes heavy adhesive residues, vinyl and VCT. 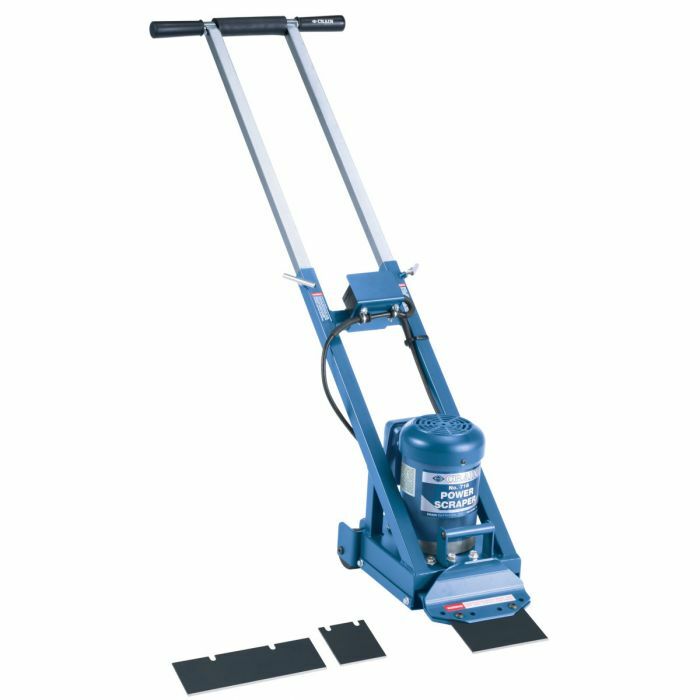 This lighter "collapse and carry" machine has a 1/2 HP motor and power channel construction for efficiently removing heavy adhesive residues, vinyl and VCT. The machine is highly maneuverable and collapses quickly for easy transport to and from the jobsite. The front-mounted 40° angled telescoping handle puts extra force behind, and extra pressure down on the stripper blade. Comes with a No. 701 4" x 6" Vinyl Blade, No. 705 3" x 10" Multi-Purpose Blade and the narrow No. 719 3-1/2" x 3-3/4" Thin Spud Blade for tough take ups.